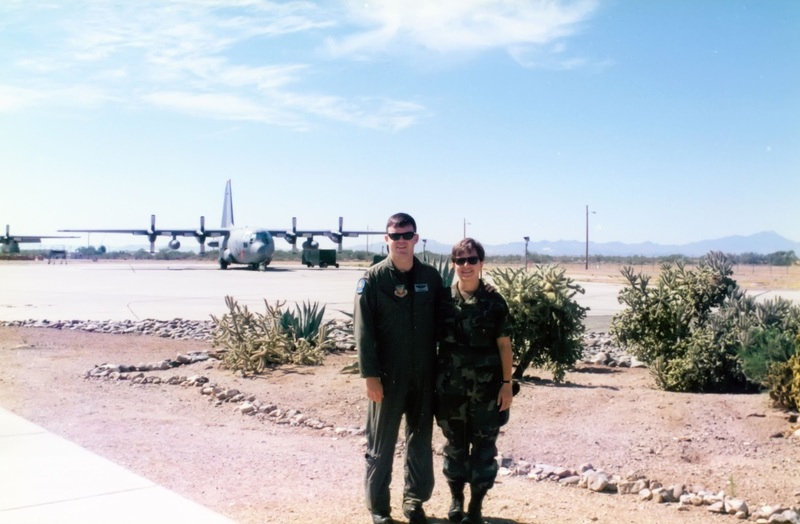 Gals In Blue: Happy Veteran's Day! 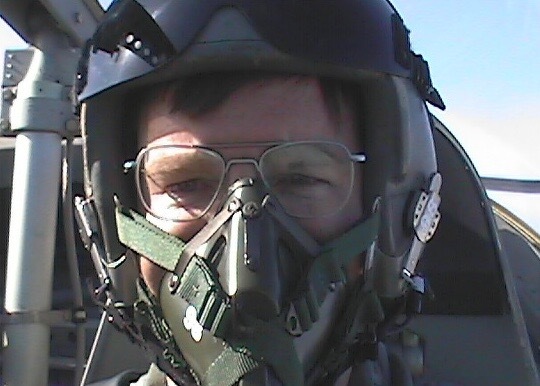 Happy Veteran's Day! 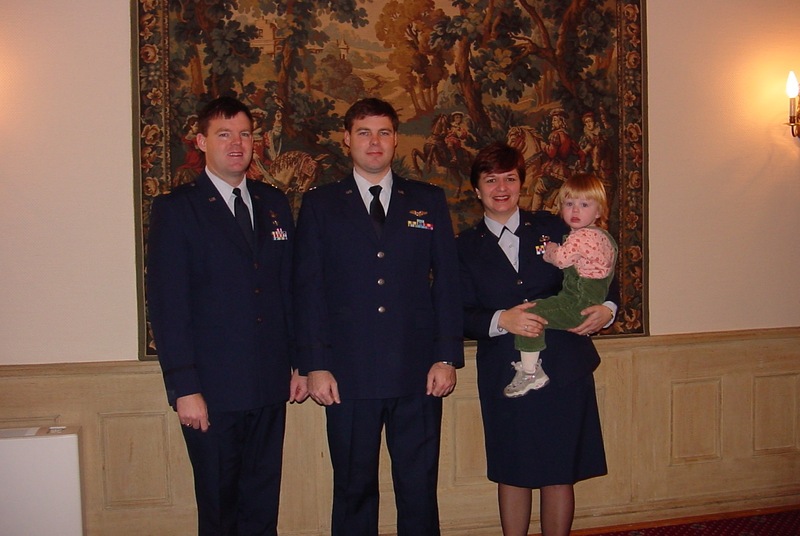 I grew up in a family of vets - my Grandfather served during WWII, my father was in the Navy from 1964 to 1984, my brother followed his steps into the Navy from 1993 to 2014, my husband served in the Air Force from 1987 to 2010, and his brother served in the Air Force from 1991 to 2011. So this and every Veteran's Day, I give thanks to all who served, but especially to those I love the most. Greg and I at Davis-Monthan, 1996ish. 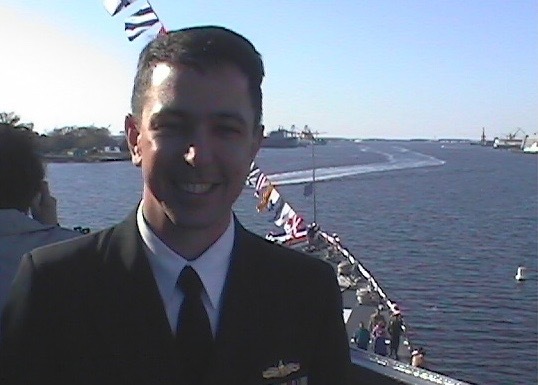 My brother Andrew, at the commissioning of the USS Winston Churchill, 2001ish. 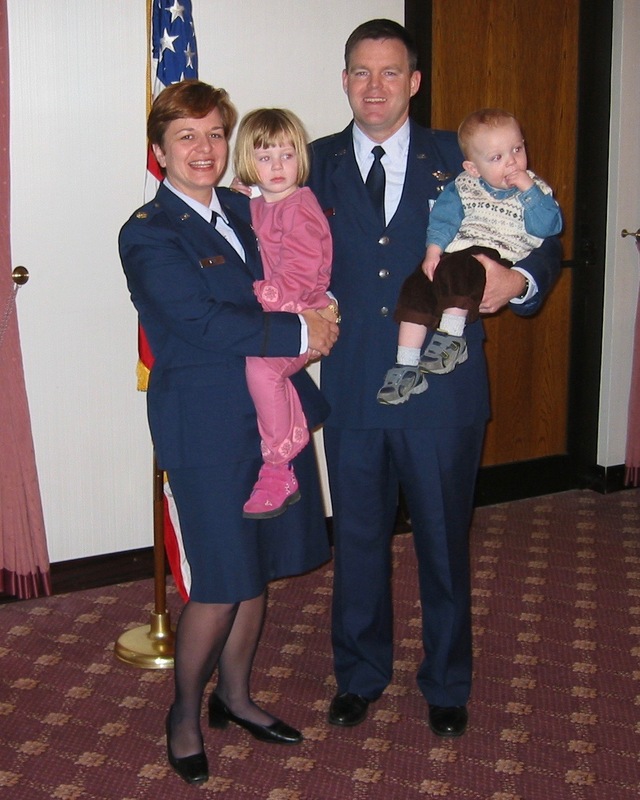 My brother-in-law Rick, at his promotion ceremony in Germany, the last day of 2001.